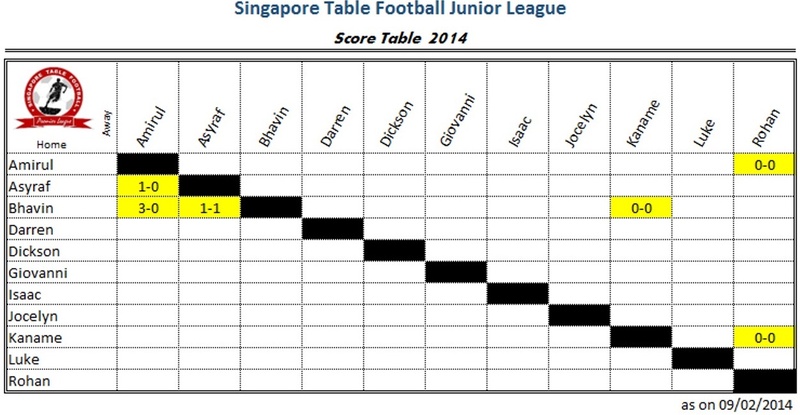 When it is said that Subbuteo Sports Table Football is THE best replica of the real game, it cannot be more true, judging from what happened during the 2nd session of the SG Table Football Premier League 2014! A total of 15 players turned up for the games in OCC Aranda Lounge on this day. As always, the games and action started with thrills and spills at nearly every table. 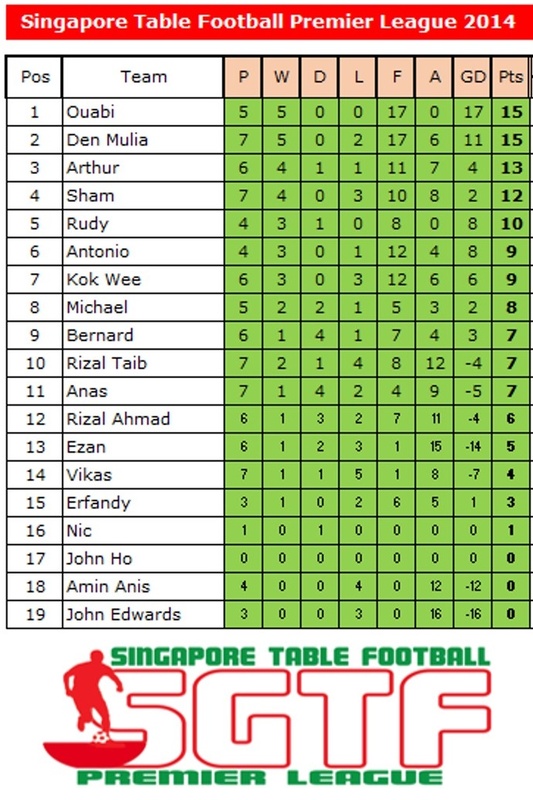 From a very one-sided game, where Ouabi overwhelmed Ezan by 9-0, to what could be the upset of the season, with Arthur ‘hammering’ Den Mulia with a score of 2-1…it all happened right here in Singapore’s very own Sports Table Football League. With the conclusion of the 2nd session, Ouabi have taken over the lead with Den right behind him, followed by on-form Arthur and Sham hot on their heels. Last month’s leader, Rudy is not too far off either, though missing the 2nd session of games. 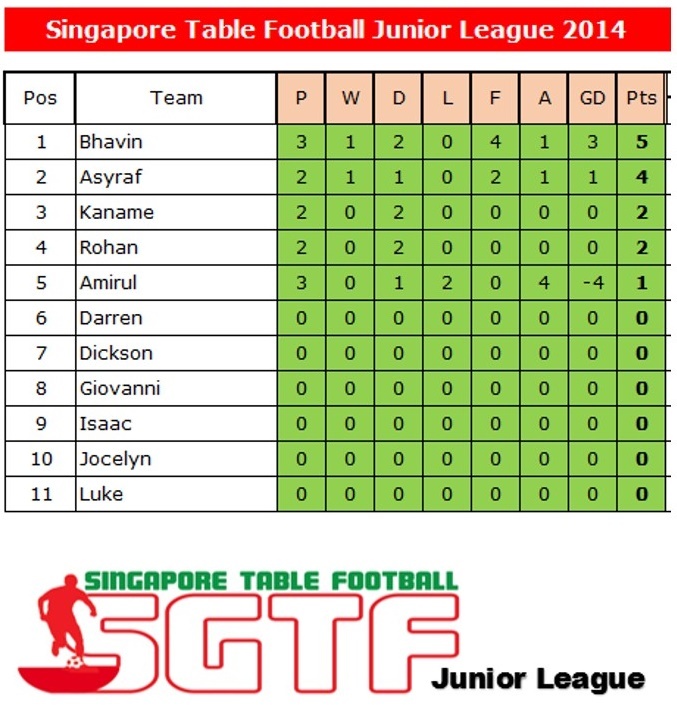 This day also spells the start of the SG Table Football Junior League! 5 budding Junior players turned up for the games on the 1st session of the Junior League. Though younger in age and short playing time, the juniors really showed some very good potential of becoming the players of the next generation. Many close games were played with a couple of stalemates, but the day ended with a clear victory for Bhavin, with a 3-0 win over Amirul. Well, the season is still very young, and you can be rest assured that more action will be coming your way. So do join us at Orchid Country Club (Aranda Lounge) in exactly a months time (09 March 2014) for more SG Table Football Premier / Junior League Action! !